Larry & Neldra Colwell, Emmanuel Baptist Scholarships (LaNCE) awards are given to high school seniors and/or currently enrolled full-time undergraduates who have been selected by the scholarship committee. This multi-student scholarship award will be given to members of Emmanuel Baptist Church who are recipients of the C. W. Ward Scholarship. 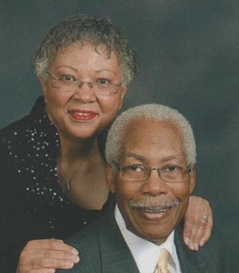 After more than 30 years each as teachers within the DC Public School system, Larry & Neldra Colwell continue their involvement with education through their service in Christian Education at Emmanuel Baptist Church. As members of Emmanuel, they combined their love of Christ with their talent of educating young people. This scholarship fully recognizes their belief in the benefits of extending an education beyond high school. Each year a maximum of ten (10) scholarships with a minimum amount of $250 will be awarded. Scholarship funds must be applied toward tuition, fees, room, board, books and other college expenses. Each recipient will be an Emmanuel Baptist Church C. W. Ward Scholarship winner.